Alberta is a landlocked province with hot and humid summers. Luckily, beaches in Alberta are plentiful, with many beautiful lakes and rivers in which to cool off. The province hosts 600 freshwater lakes and 245 rivers. There is also a provincial park or recreation area within a one hour drive from every community. Alberta Health Services monitors water quality at approximately 50 beaches. The best time for swimming is from August to early September because it takes some time for Alberta’s waters to warm up. The province has beautiful sandy beaches. You can also find rocky beaches with cliffs for diving. 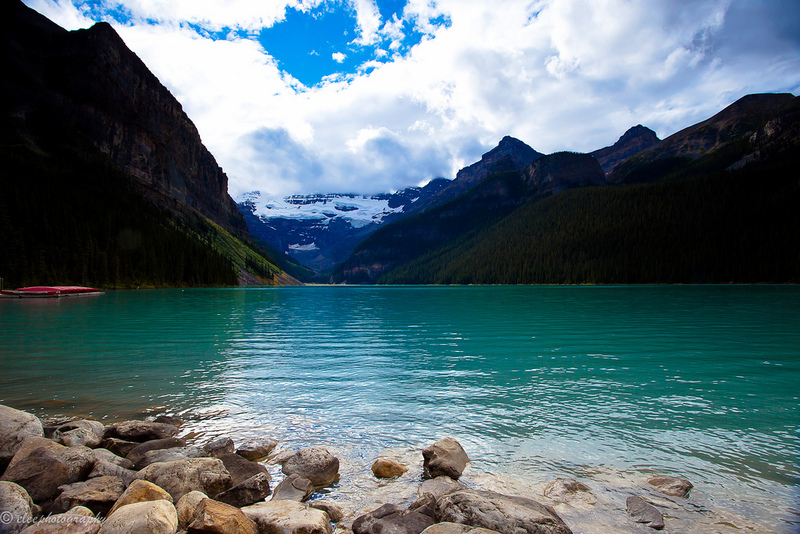 Many lakes, such as Lake Louise or the Lake Annette Beach offer summer getaways with winter backdrops. You’ll find mountain views at many of Alberta’s lakes. There are also some swimmable rivers, though it’s always advised to inquire about local conditions. Rivers can move fast, especially after lots of rain. Just because the province doesn’t border the Great Lakes or the ocean doesn’t mean there are no opportunities for water sports. Canoeing, kayaking, sailing, water skiing and even wind surfing are possible on many of Alberta’s waterbodies. There are also many family-friendly beaches at the smaller lakes throughout the province. Many of the lakes in provincial parks also have boat launches. This is a popular activity for those interested in exploring a lake in its entirety. City dwellers in both Edmonton and Calgary can meet halfway at Sylvan Lake. Over a million visitors come to this popular summer destination each year to swim in its clear, shallow waters and sandy beaches. Most Canadians will have seen pictures of the iconic Banff National Park, Canada’s oldest National Park. This park is also a UNESCO World Heritage Site. While many lakes in the park are fed by glaciers and therefore too cool for swimming, their incomparable beauty is worth the hike and you can find a couple that are swimmable (for example, Cascade Ponds or Johnson Lake). There are also naturally occurring hot springs for when the sight of the snowy Rockies starts to make you shiver.